Anyone peckish? Food for thought. Lise, the main character in the novel I’m currently reading, doesn’t seem to be that interested in food. So far she’s had ‘a cold supper’, has slept though one dinner and only commented on passing the bread and salt at another. She took a single piece of melon from a ‘breakfast buffet’ and sat at the kitchen table drinking wine one night and forgot about a freshly caught fish poaching to oblivion on the stove behind her. Maybe she sees eating as a necessary part of her days but not something that deserves too much attention. Maybe she’s too much in love to think about eating, or too busy adjusting to the emotional challenges of a new life, both of which are happening in alternating sections of the book. When I read the words ‘breakfast buffet’ my mouth waters just thinking about what they might suggest: soft pastries, yoghurt and honey, a plate of fresh fruit, cold meats and cheese, eggs, bacon, sausage… well, okay, she’s in Mexico so perhaps less of the eggs and bacon, but what about breakfast burritos or tamales, or huevos rancheros – fried eggs, salsa and soft corn tortillas? I’d never be able to slide away with just a slice of melon. I did think my luck was going to change when Lise took her best friend to his favourite restaurant but there wasn’t even a sniff of a pre-prandial olive before she told him she was leaving her husband. I know, I know… but a girl still has to eat! The quiet, along with the altitude, gives the impression of standing in the sky. Indeed, each time Lise moves from shelter to outdoors she feels overwhelmed by the moody expanse of sky, dwarfing the land like a torn sheet billowed over a green penny. The seascape was composed of simple elements: a headland cutting into the water like a great stone plow and a sunrise, shattered as if the sky had been struck by a similar blade. 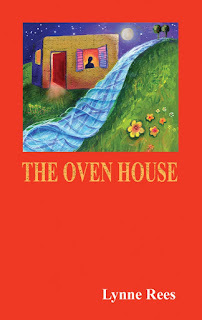 It’s a beautiful book about confronting the past and telling stories. Read it for yourself. Of course, food not playing a significant role says far more about me that it does about Lise. And I have no doubt that Sarah Stonich would have deliberately chosen the concrete detail she needed as vehicles for her ideas and themes. But I also wonder how much of our own pleasures and preferences we consciously or unconsciously add to our writing? And she makes herself eat. But not raw, cold food. It has to be cooked and hot. She lights the rings on the narrow gas stove and warms a bottle of red at the side – a good Rioja or an estate bottled Shiraz… She poaches salmon, warms green pesto sauce with olive oil, and serves it on a bed of rocket, or she sautés slivers of chicken breast with rosemary and garlic, toasts slices of ciabatta under the grill… After the second glass of wine her head and belly are warm, relaxed, and she is convinced she can get through this. And as long as she’s doing something, and being kind to herself, perhaps the days won’t scrape by so painfully. In Messages, written with Sarah Salway, the theme of food is one of the most common, recurring again and again throughout the 300 pieces. All kinds of food, including chocolate, bread and chips, as well as kitchens, cafes, and dinner parties suggest desire, loss, resentment, self-love, adventure, competition and much, much more. And this predilection for the culinary appears to have been shared equally between us. I was always aware that water, in all its forms, was an over-riding theme in my poetry, but looking through Learning How to Fall again I’m surprised how often the sense of taste is invoked: I can taste salt on you…, tasting the rain…, he is every dish/ she’s ever wanted and she is/ every mouth waiting to be fed. Perhaps we all look back at our lives and try to make sense of things, to identify what has made us and what has brought us to where we are now. And maybe we find patterns because we’re consciously looking for them, because we want the journeys we’ve taken to have meaning. If there’s no order, no form, how can there be any sense? 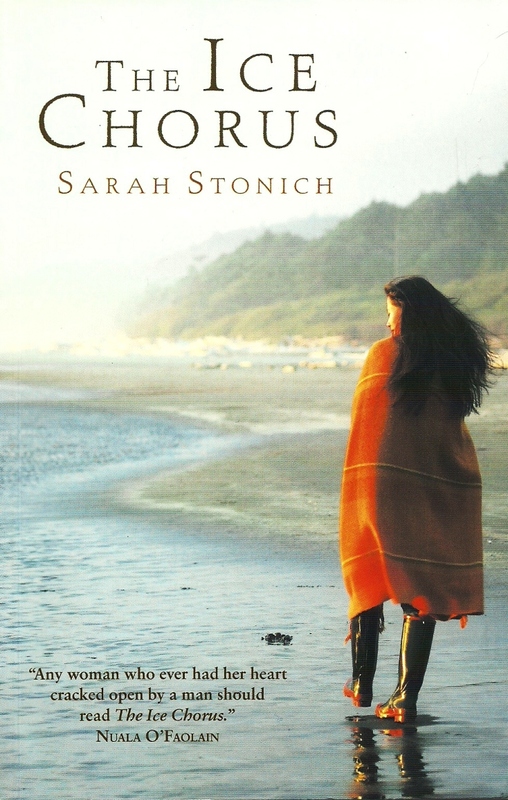 Would I be working on 'The Hungry Writer' pieces if I hadn’t written the novel, the poems, hadn’t started that collaboration with Sarah back in 2005? Did the desire to write about food emerge and develop gradually over the years or have I always been unconsciously engaged with it at some level? I'm pretty sure I wasn’t concerned with food when I started writing around 1990. A lot of my early poems and stories revolved around lonely, old men! 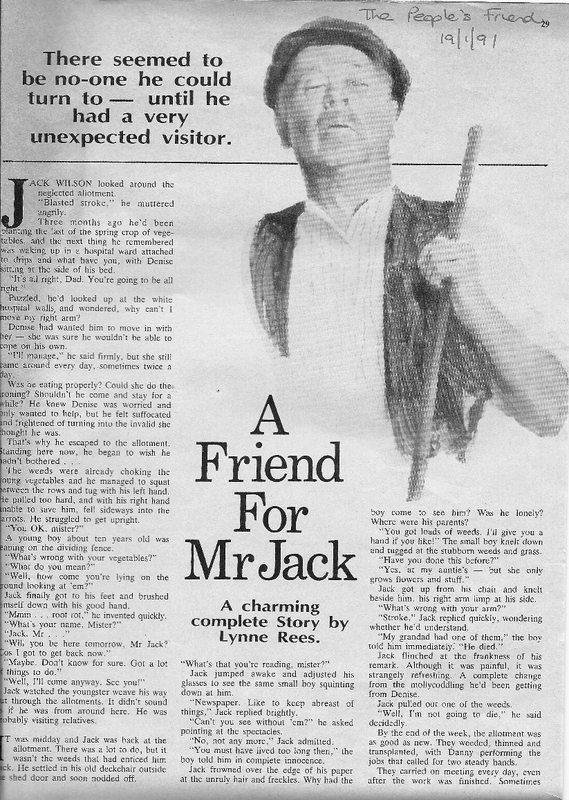 And my first published short story, which appeared in 'The People’s Friend', was about a lonely, old man recovering from a stroke. I don't know what Freud would make of that early, and, I suspect, rather self-indulgent, obsession! 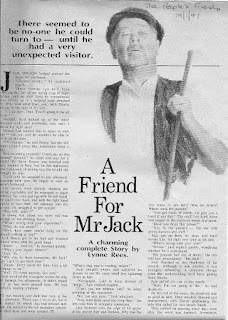 Although, I remember now that Mr Jack did have an allotment – carrots, spinach, potatoes. There’s a good soup there. And double-baked jacket potatoes. Spinach for eggs Florentine. A sign?! Nah... the chances are that every woman's magazine published that week had a cookery feature on the front cover. But it's fun to make maps of our lives and look at where different threads cross. And isn't map-making what we do when we write our stories? We start with a blank page, mark one phase of a journey, add another and aim for a destination, whether we know where we're going or not. Choose one of your passions, or obsessions, and make a retrospective map of how and where it began and how it has travelled through your life. Invent or imagine a future for it. What will you and your passion be doing 20 years from now? Sarah Stonich's book does sound great, though. You had me at bread. I laughed, LoriAngela! It's so good to meet people who love food. I've never been able to stop the food pouring into all my writing and research. When I was working on Emmanuel Levinas for my PhD, all I could see were his food metaphors and I couldn't believe no one had ever talked about them before. Sometimes it can be useful being so single minded! Thanks so much again - and I'm loving the other blogs you awarded too. And I think you should write books exactly as you write them now: beautiful, lyrical and absorbing. I thought you absolutely nailed the ending of the The Ice Chorus too - perfect.